New Year is a magical time, and not just because of the fireworks. It’s a time where the whole world comes together to celebrate a new beginning, the chance to take on new challenges and to be inspired, a chance to meet new people and, of course, to travel to new destinations (our favourite part of the new year). With that in mind, here are our top 16 travel hot spots for 2019. 1. St Bart’s is back. This Caribbean paradise was one of the worst hit in the region by Hurricane Irma back in 2017. 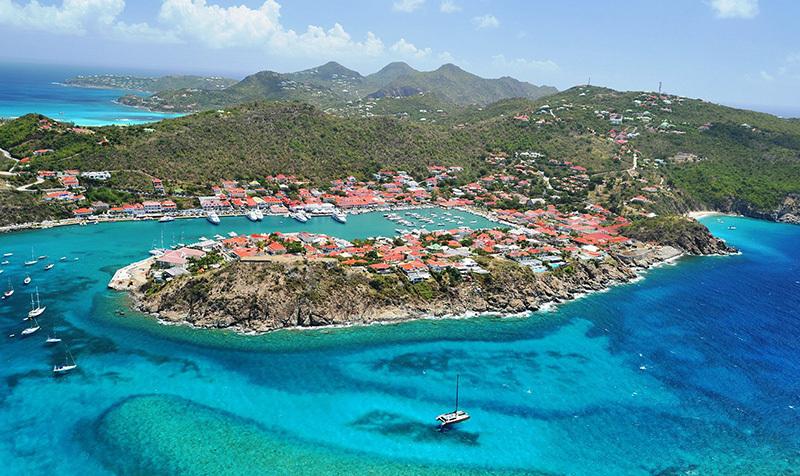 Over the last year, St Bart’s has worked to rebuilt and revamp so that you can discover your inner bohemian, wander the pristine beaches and rub shoulders with the rich and famous. 2. The city of Petra in Jordan tells the story of a lost civilisation, a nomadic people and an ancient kingdom. One of the Wonders of the World, it will leave you breathless, and with the opening of a new museum in 2019 to celebrate its remarkable history, there has never been a better time to visit. 3. There are a few places in this world that have unimaginable beauty, eco-awareness and adventure, but Patagonia in Chile is undoubtedly one of them. Recently opened in the region was the 1,700 mile Route of Parks, which is the world’s longest hiking trail, and when you’re not hiking, enjoying some Chilean wine is a must. 4. With the Ritz Carlton opening on the beautifully-redeveloped Elizabeth Quay in Perth, it’s no wonder this Australian costal city is on our list. While many visiting Australia tend to head for the East Coast, Perth has long been a well-kept secret for Australians. 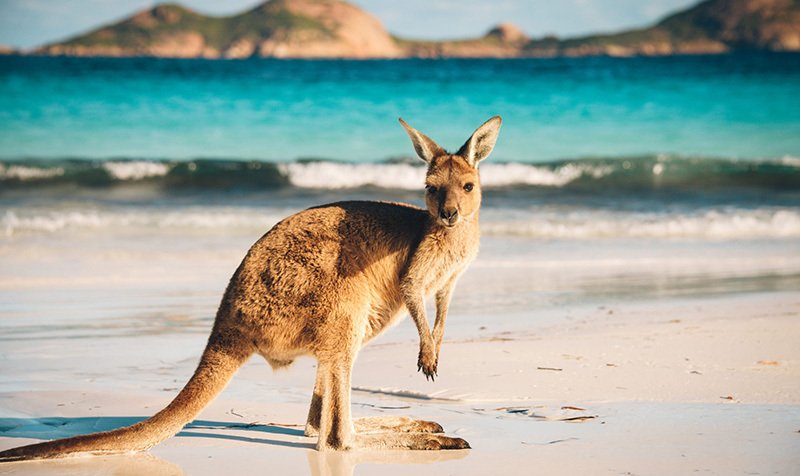 With beaches to rival almost all others in Australia and new developments in luxury hotels taking place, Perth is a 2019 must. 5. To deviate a little from the trend of cities to visit, here is a whole country that is a 2019 must. Just off the coast of India, the island nation of Sri Lanka looks a little like an avocado on a map, and its popularity is on the increase. The people are warm, inviting and eager to share all the beauty their country has to offer. From beaches to eco-safaris and hikes through tea fields, Sri Lanka will not disappoint. 6. San Ignacio in Belize has so much heart and soul, it’s impossible not to get swept up in it all. Belize as a country is known as one of the most expensive cities in the Caribbean, and San Ignacio is no exception, but it’s a magical place for adventurers and explorers to visit. thanks to its many caves systems and ancient Mayan ruins. Add snorkeling, canoeing or just relaxing and enjoying the feel-good market vibes with the locals, and you have a winning combination. 7. Not far from Belize is Bacalar: a Mexican island paradise that offers the same turquoise blue waters and white sand beaches that you find in the Maldives, but without the crowds. For a destination that’s primed for ultimate relaxation, Bacalar is guaranteed to delivery, but this gem won’t stay hidden for long, so make 2019 the year you pay it a visit. 8. 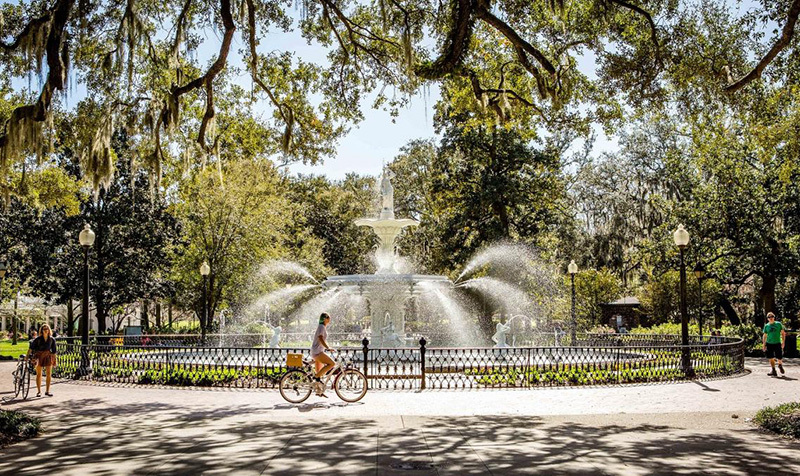 One of the best-kept secrets in the USA, the peaceful Southern city of Savannah, Georgia is everything you could ask for in a relaxing city stay. This quaint, leafy town is the perfect place in which to stop and smell the roses if you’re exploring America’s South East – an ideal way to kick off a new year. 9. The artist, Vincent van Gogh. saw little recognition during his lifetime, but the city of Arles, France, where he lived for fifteen short months, is today recognized as an art-lover’s utopia thanks to the more than 300 paintings and drawings he was inspired to produce during his short time here. Van Gogh drew inspiration from the Provençal landscape and the city itself, producing many of his most beloved works. Today, the city itself is a work of art, sure to ignite your inner creative self. 10. Known as Greece’s hippest city, Thessaloniki is home of some of Greece’s greatest artists, poets and thinkers, which translates to culture, history and a whole lot of fun. A city that’s full of life and vibrancy, and one that you’ll will have you falling head over heels, this picturesque port city in the north of Greece is a traveller’s dream. 11. Copenhagen, Denmark is the epitome of cool. : the city gives off a relaxed, easy-going ‘town’ vibe that’s always abuzz with people and activity. Its colourful townhouses lining the canals are stunning offering the perfect backdrop for an enviable Instagram snap. 12. Whether it be the music, the smell of spiced rum or its old-school magic, New Orleans holds a certain allure, with new hotels and restaurants opening all the time. It’s sure to make you feel alive and have you dancing in the streets in no time. 13. For something a little different, head to Japan’s remote Seto Inland Sea. The sea lies between the islands of Honshu, Shikoku and Kyushu and is one of the most remarkable parts of the country. The region offers luxury yacht charters, seaplane tours and for art lovers, the Setouchi Triennial museums and instillations from April to November on the islands of Naoshima, Teshima and Megijima. 14. Paris might be known as the ‘City of Lights’, but Singapore can certainly give it a run for its money. Traditionally more of a stopover destination for many travelers en route to destinations further afield, now is the time to venture beyond Changi Airport and see the city. Thanks to the success of the hit movie, Crazy Rich Asians, Singapore is finally getting the recognition it deserves, as a destination in its own right. 15. Transylvania, Romania is not all Dracula and dark fairytales – this city has much more to offer. A land lost in time, with an abundance of history, this underrated destination is beginning to attract serious attention, thanks in no small part to its up and coming wine scene. Why not set the trend, and start sampling some Transylvanian wines in 2019? 16. 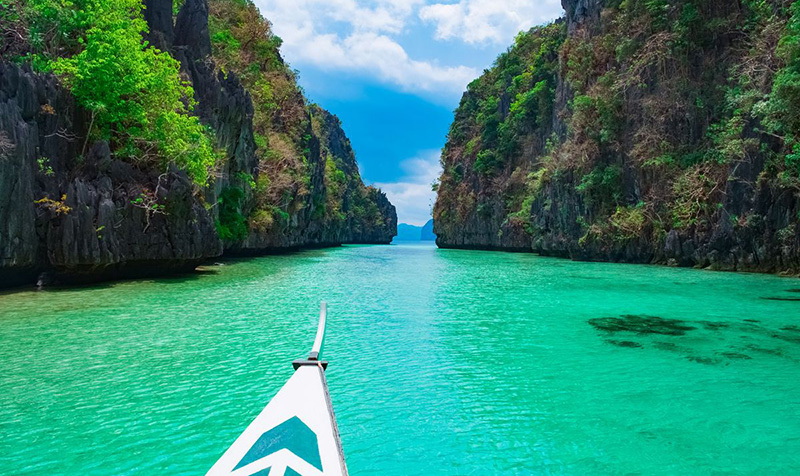 Palawan is one of over 7,000 islands that make up the Philippine archipelago, offering everything from jungle adventures to white, sandy beaches on which to relax – for many visitors, it’s the very definition of paradise.